Whether you suffer from distressing seasonal symptoms or would just like more of Spring’s creative upsurge within you, there is plenty you can do to align your internal world with nature’s vibrant energy of renewal. Many people suffer from ‘Spring’ symptoms, including hayfever, other allergies and headaches. Other common issues at this time of year are painful tightness and cramps, especially neck tension or menstrual cramps. This stuckness is reflected on the emotional side, as we feel unable to move forward practically or creatively in our lives. This leads to stress, irritability, restlessness, frustration and anger or to feeling generally run down, drained and even hopeless and depressed. Sound familiar? If so, you may have some disharmony in your Liver and Wood Element energy. * Chinese medicine associates Wood’s energy with creative re-emergence from stillness at the beginning of new cycles, like in the Spring, and with the Liver and Gallbladder. If its powerful upsurge is blocked, problems arise. And this is particularly common in the Spring. Even if Spring is a positive time of year for you, by aligning your lifestyle with the season’s energy you’ll harness to the full its positive qualities of new vision, hope and creativity, and help keep your overall cycle of energy smooth throughout the year. Be sure not to miss out on Spring’s invitation to Spring clean! And take care to pay as much attention to yourself as to your living environment. For Winter’s cold and damp, its tendency to dietary heaviness and excess and its quality of conserving rather than letting go can – combined with our human reluctance to take restorative rest – put a heavy load on us. We feel this weight physically and emotionally, making it hard for us to re-emerge smoothly and vigorously in Spring. You can help to lift that weight by supporting your Liver, your body’s natural organ of detoxification. In the Spring, it becomes most active in this role, so be sure that you are promoting, rather than hindering, that process with the simple steps below. Lighten your diet – Make your Spring diet the lightest, simplest, most natural and digestible of the whole year, taking pleasure in consuming an abundance of fresh, local, organic lightly-cooked green vegetables. Do your best to shun processed or chemically treated foods, alcohol, coffee, sugars, saturated fats and heavy or late meals, all of which will put a great strain on your Liver. It’s great to include a little sour flavour in your diet, like raw unpasteurised sauerkraut, lemon and kefir. Drink a glass of warm water with a tablespoon of either lemon juice or raw apple cider vinegar first thing each morning, as a particularly beneficial system-cleansing springtime practice. Detoxify with skin friction – You can support your body’s detoxification and revitalising process by giving it a vigorous rub all over with a hot flannel or cloth during your morning shower, thereby removing dead cells, opening up skin pores and promoting blood flow to your skin. Wake up early – Have you noticed that lying in in the Spring can actually make you feel more tired? If you want more energy, mimic the season’s increasingly early rising and start gradually to get up earlier. If you can, go outside early to tune into to how nature wakes up to the birds’ cheerful chorus. Spend time out in nature – One of the best things you can do for your Liver is to walk in nature, actively breathing in Spring’s vibrant and wondrous green spectacle through your eyes. 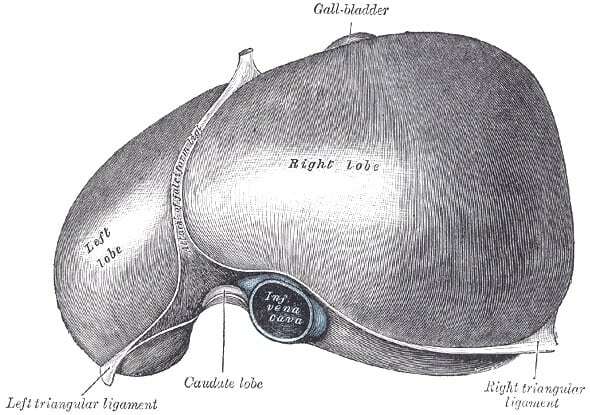 Each organ has a related sense organ in Chinese medicine and, for the Liver, it is our eyes. An added benefit of this practice is that you can improve your vision – both literal and figurative. Keep wrapped up – Take care not be too over-enthusiastic to strip off all your Winter layers too early in the Spring, as the season’s emerging Yang (upsurging) energy is very vulnerable to the unpredictable winds and weather changes that are prevalent at this time of year. Be sure, in particular, to protect the back of your neck. Take regular, moderate exercise – If you have a sedentary lifestyle, get moving! Or you’ll be damaging your Liver and blocking Spring’s energetic rise. Our Livers govern the smooth flow of vital energy in our bodies and love all forms of gently flowing exercise. Vigorous walking out in nature is ideal, as is dancing and, of course, Yoga or Qigong. My Yoga classes and Qigong classes also include specific healing practices for each organ and Element. Cut down on screen time – Do you spend long hours in front of a computer, phone or television screen? Try to cut back at this time of year to give your eyes a break. Like I mentioned earlier, your eyes are linked to your Liver, so when you tire your eyes, you are exhausting your Liver. Violent images are particularly harmful – why not replace these with the beautiful, healing image of the natural world coming back to life all around you? Spring clean your house, office and life – The whole process I’m outlining here will be giving you an internal Spring clean. Take the time too to clear out clutter from your living environment. And start the process of simplifying your life, stepping away where possible from distracting and stress-inducing aspects and relationships. As you Spring clean, you’ll hugely lighten your load materially and energetically. So you’ll have the space to focus on cultivating projects, activities and relationships that nourish your soul and grow you into the person you were born to be. Renew your vision for the future – Spring is the time for you to look ahead and to renew your vision for the future. Spend some time thinking about exactly where you would like you and your life to be in three years time – imagine and feel the reality of this future and write it down in the present tense in all its simple, clear detail. And, amid the ups and downs of life, hold tight to your vision, reading and/or visualising it daily. Start a new project – If you do not feel quite ready for the last step, you might first need the distilling work of the Autumn season’s Metal element to sharpen your focus onto what is essential to you and to strengthen your resolve. As you explore that, this Spring harness the season’s energy to focus on planning and completing smaller projects and to move ahead with some of the little things that you have been putting off. If you have a habit of giving up on things half-way, break each project down into more modest steps, but commit to finishing each step. Long journeys are made up of small steps. As you watch Spring’s creative explosion and as your Spring clean unblocks the same energy within you, tune into and follow your own creative urges. They may have been ignored for some time and have become so shy that you are convinced they don’t exist. But nature is creative, so, if you are alive, you are a creative being! And as you detox and unblock, you may be surprised to find your desire to create emerges naturally like a vigorous young green shoot. If it needs some coaxing, then just start creating – being as broad in defining what that means as you like. Try to remember what you loved to do as a child as a clue to your long-abandoned hobbies, dreams or passions. Or simply decide to learn something new that appeals to you. And remember, you don’t have to feel you are good at your creative endeavour, just to take pleasure in it. Enjoy the Spring-like energy of being a beginner – letting yourself be vulnerable and nervous, but also full of childlike excited, innocent, curious wonder. *These tips are designed for promoting general well-being. If you are suffering particular symptoms, please do consult your doctor and a trained and experienced Chinese medicine practitioner to identify your own particular pattern of imbalance. If you have any questions, just drop me a line. I’d be delighted to hear from you. Why is it So Hard to Step into Spring?